Bai Juyi (Po Chü-i Chinese: 白居易; pinyin: Bái Jūyì; Wade-Giles: Pai Chüi. Pinyin Bo Juyi, 772–846) was a poet of the T'ang dynasty (618–907) in China, who espoused Confucian ideals and called for a revival of the moral themes and the straightforward style of ancient literature. He used his elegantly simple verse to protest the social evils of his day. He is notable for the accessibility of his work; he tried to use simple language and direct themes, and it is said that he rewrote any part of a poem which one of his servants was unable to understand. His poems are not cheerful, and were themed around his responsibilities as a governor of several small provinces, sympathizing with the plight of his people. Bai Yuji wrote over 2,800 poems, which he had copied and distributed to ensure their survival. Two of his most famous works are the long narrative poems Song of Eternal Sorrow, which tells the story of Yang Guifei (楊貴妃), and Song of the Pipa Player. He is renowned in Japan as well, where he is called Haku Rakuten. Bai Juyi was born in 772 in Xinzheng(新鄭), a small county-level city of Zhengzhou ( 鄭州) in the south of Henan ( 河南) province, to a poor but scholarly family. Bai began composing poetry at the age of five. At the age of ten he was sent away from his family to be educated near Chang'an. Because of his father's death in 794 and strained family circumstances, Bai did not take the official examinations for the bureaucracy until the late age of 28. At the age of ten he was sent away from his family to be educated near Chang'an. He passed the jinshi degree in 800. Bai Juyi excelled in the exams and was appointed to given a minor post at the palace library, along with another successful examination candidate and poet, Yuan Zhen (Yüan Chen). Their friendship became perhaps the most famous in Chinese history. Yuan Zhen (Chinese: 元稹; pinyin: Yuán Zhěn; Wade-Giles: Yüan Chen, 779–831), courtesy name Weizhi (微之), was an important Chinese writer and poet in the middle Tang Dynasty known for his work Yingying's Biography. A native of Luoyang, Yuan was a descendant of Northern Wei's ruling elites. He lost his father at the age of eight and moved to Fengxiang, near today's Baoji, Shaanxi with his mother Lady Zheng (郑氏). 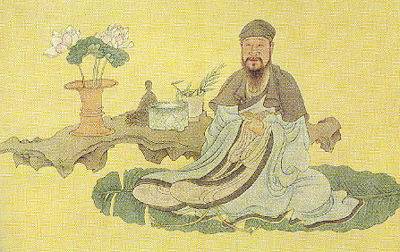 Yuan began his writings at the age of fifteen. He was a member of Bai Juyi's literary circle and a key figure in the ancient literature (ku-wen) revival. He was the author of Yingying's Biography (鶯鶯傳), which was later adapted for numerous operas and songs. In 813, he wrote a grave inscription for Du Fu, which contains some of the earliest known praise for his predecessor's works. Bai Yuji’s official career was initially successful: he was a Member of the Hanlin Academy ( 翰林院) and Reminder of the Left from 807 until 815, when he was exiled to a minor post at Chiu-chiang for remonstrating too forcefully. His career resumed when he was made Prefect of Chung-chou (818), of Hangzhou( 杭州) (822-824) and then Suzhou( 蘇州) (825-827). In 829 he became mayor of Lo-yang, the eastern capital, but retired from that post in 833 because of illness. 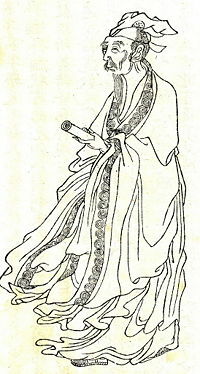 Bai Juyi died in 846. Bai Yuji wrote over 2,800 poems, which he had copied and distributed to ensure their survival. He is most notable for the accessibility of his work. It is said that he rewrote any part of a poem which one of his servants was unable to understand. He tried to use simple language and direct themes. Two of his most famous works are the long narrative poems Song of Eternal Sorrow, which tells the story of Yang Guifei (楊貴妃) , and Song of the Pipa Player. Like Du Fu ( 杜甫), he had a strong sense of social responsibility, and he is also well-known for his satirical poems, such as The Elderly Charcoal Seller. Bai Juyi's accessibility made him extremely popular in his lifetime in both China and Japan, a popularity which has continued until today. Around himself, Bai Yuji gathered a literary circle espousing Confucian ideals, calling for a revival of the moral themes and the straightforward style of ancient literature. The group rejected the courtly trends of the time and held that literature should be an instrument of ethical and social improvement. Bai Yuji and his group revived an old ballad tradition associated with social protest, by writing hsin yüeh-fu, or “new music bureau,” ballads. Bai Yuji used his elegantly simple verse to protest the social evils of his day. His poems are not cheerful, and were themed around his responsibilities as a governor of several small provinces. He was sympathetic with the plight of his people. He is renowned in Japan as well, where he is called Haku Rakuten. The best-known example of twin compositions in Chinese literary history is Bai Juyi’s (772–846) "Song of Eternal Sorrow" and Chen Hong’s (785–830) "An Account of the ‘Song of Eternal Sorrow’." Both are based on the liaison between the Tang Emperor Xuanzong (685-762) and his beloved consort, Yang Guifei, one of the Four Beauties of ancient China (Si Mei Ren). Emperor Xuanzong preferred her over thousands of concubines and spared no expense to please her. He became infatuated and increasingly ignored the day-to-day affairs of his empire, allowing much of his power to fall into the hands of corrupt court officials, including Yan Guifei’s cousin Yang Guozhong, who became Chief Minister. My brothers live abroad- scattered west and east. Family members wander, scattered on the road. Or roots uplifted into September's autumn air. This night, our wish for home can make five places one. Its emerald green overruns the ruined town. I find I'm crowded full of parting's feelings. But the mountain temple's peach blossom has just begun to bloom. I didn't know that it had only moved up here. I heard this saying from the old gentleman. Why did he feel able to write five thousand words? As evening came I found that only two remained. At night I gaze by lamplight, to cherish the fading red. Long ago, I knew the landscape well. In spring, the river's water's green as lilies. How could I not remember south of the river? Half the river's emerald, half is red. The dew is like pearl; the moon like a bow. And duckweed's opened up along his path. ↑ Luo Manling, (Washington University, St. Louis), "The Making of Romance and the Remaking of History: "Chang hen ge zhuan" (An Account of "The Song of Eternal Sorrow")" Paper presented at the AAS Annual Meeting, Chicago, March 31 - April 1, 2005, China and Inner Asia, Session 58. Retrieved February 13, 2008. ↑ 2.00 2.01 2.02 2.03 2.04 2.05 2.06 2.07 2.08 2.09 2.10 2.11 Chinese Poems. www.chinese-poems.com. Retrieved December 20, 2007. Buckler, McKay Hill. A History of World Societies, Fourth Edition. Houghton Mifflin, 1999. Bai Jugi. Bai Juyi 200 selected poems. Beijing: New York Press, 1983. Waley, Arthur and Bai Juyi. A hundred and seventy Chinese poems. New York: A.A. Knopf, 1919. Bai Juyi and Eugen Feifel. 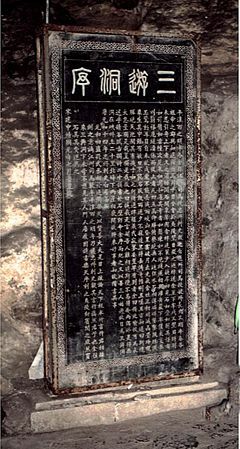 Po Chü-i as a censor his memorials presented to Emperor Hsien-tsung during the years 808-810. Hague: Mouton, 1961. Translations of Chinese poems. www.chinese-poems.com. Chinese poems in translation. Pipa Song. www.philmultic.com. This page was last modified on 9 December 2016, at 00:09.